Welcome back to the Legend of the Five Rings Create a Card series—where you, the Legend of the Five Rings: The Card Game community, help design your very own samurai that will be included in a future expansion! Last week, with 19.8% of the vote, we determined that our samurai’s military and political skill would be balanced, with high glory. While we’ve spent the last few weeks nailing down the mechanical identity of our samurai, it's time to flesh out exactly who this character is. 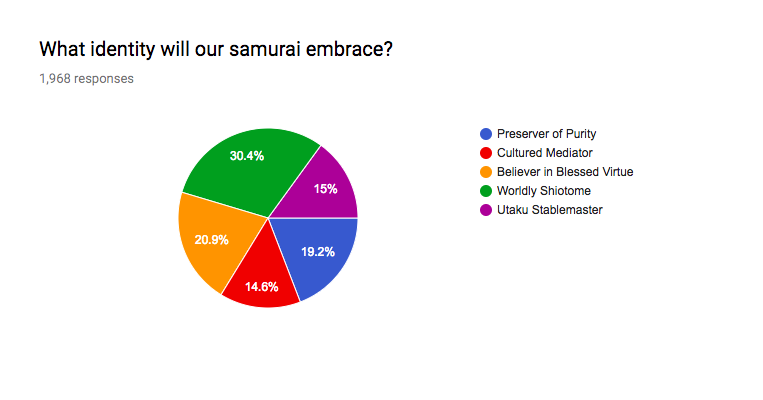 Join us today as we vote on a character concept for our samurai. These brief, one-sentence descriptions will give some context to the role that our samurai plays in the Emerald Empire, and will determine both the name and art direction of the card. As always, these choices are subject to change through playtesting and approval. 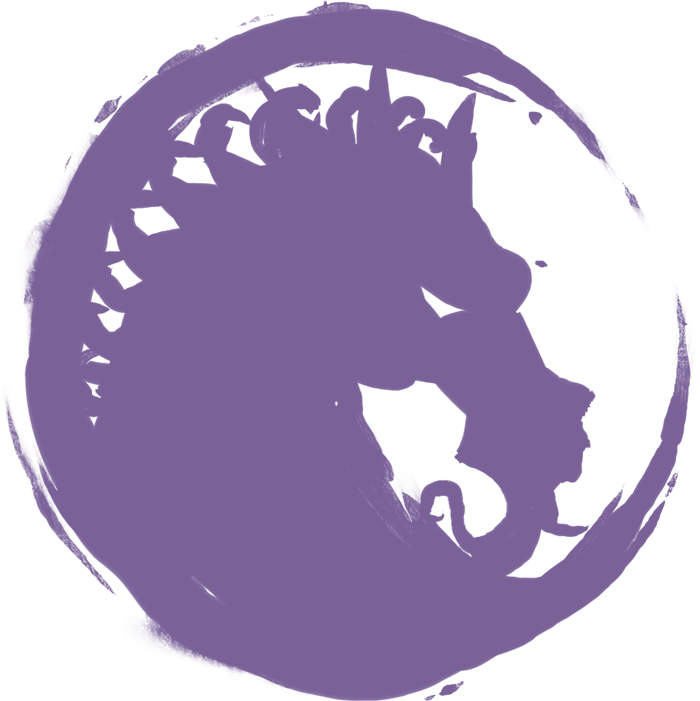 Read on to discover your choices, then vote at the bottom of this article within the next 24 hours! Preserver of Purity – a Battle Maiden yōjimbō who protects Unicorn dignitaries (usually Ide) traveling in foreign lands. Cultured Mediator – an Utaku courtier who explores outside Rokugan and builds alliances with gaijin powers. Believer in Blessed Virtue – an Utaku rōnin whose lack of a lord and whose unique interpretation of Bushidō prevents her from being an official Battle Maiden. Worldly Shiotome – a Battle Maiden with a particular affinity and interest in gaijin customs and items. 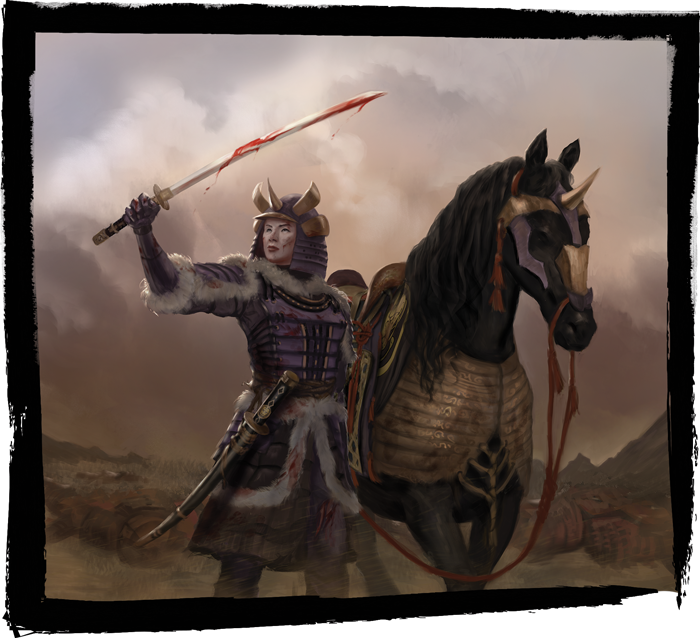 Utaku Stablemaster – an Utaku courtier who attends to the revered Utaku battle steeds, and has a particular affinity for creatures of all types. This choice will form the core of their identity from a flavor perspective. Consider your decision carefully, and vote below within the next 24 hours! The Create a Card series is drawing to an end, and our samurai is beginning to take shape. With their core identity in place, our samurai is nearly ready to begin their journey in Rokugan. Join us next week as we determine a specific ability for our samurai, and keep an eye on this article tomorrow for a sneak peek at the results of this week's vote!